Increase your health and vitality, naturally! Dr. Derik Sanders has had the privilege of serving our community with personalized health care for over a decade. 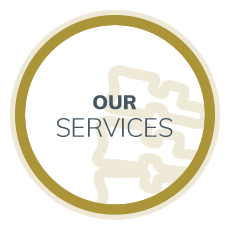 We welcome the opportunity to meet you, and offer complimentary consultations. Contact us today to get started! Dr. Derik Sanders Welcomes You! 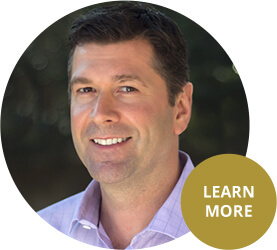 Westlake Chiropractor Dr. Derik Sanders is dedicated to helping you get better as quickly as possible. He believes that you’re designed to heal from the inside out. If there’s too much stress on your body, which is all too common in today’s world, your body is constantly trying to adapt and compensate. Often, you might experience pain, discomfort, or a health condition as a result. These symptoms are a message your body is sending, telling you that something isn’t right. He’ll listen to these signs to discover the underlying cause of your problem, supporting you where and when you need it so that you can heal without the use of drugs or surgery. Dr. Derik’s patients include a range of conditions and people such as athletes, seniors, and young professionals. He enjoys working with entire families from pregnancy and pediatric care to young athletes, active teenagers and college students. Dr. Derik chiropractic care to help a diverse range of people feel their best! Many of our patients live active and healthy lifestyles and want someone to coach them in reaching their goals. 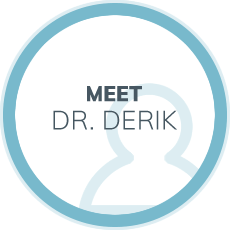 Dr. Derik, with his extensive qualifications, is well-versed in helping individuals get well. His meticulous care involves the use of applied kinesiology to help your body get exactly what it needs. Additionally, he offers nutritional counseling that assists those suffering from illnesses, allergies, hormonal concerns and more. During your visits, he works to educate you about your body and how to support it so that you feel well in mind and body. He enjoys creating relationships with people in our community and appreciates it when our patients refer their loved ones to him. When you’re empowered with information about your health, you can reach levels of wellness that you never thought possible. With numerous techniques and approaches, he’ll tailor your care to your needs and preferences. Find out more — contact our chiropractor Westlake today for a same-day appointment! I first came in with a shoulder injury in my rotator cuff. 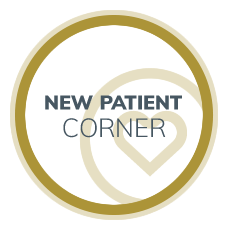 Dr. Derik resolved it in a series of treatments. He also helped strengthened a “left side” problem with my ankle, knee and neck that had been getting worse over several years. It is now completely resolved. Dr Sanders is easy to talk to and truly listens to your issues. The staff and doctors are very friendly and helpful. Dr. Derik is attentive and very thorough. His adjustments for my 11-year-old daughter and me have been gentle and effective. Dr. Sanders is incredibly friendly, optimistic, and helpful. Would reccomend to anyone. Dr. Derik’s listening skills and ability to work with me greatly improved my lower back and “mouse arm” pain! I ca highly recommend him. The staff at Family Chiropractic Center is flexible and take my insurance which helps make it possible to continue the healing process. Dr. Derik is an extremely competent chiropractor. I have complete confidence and trust in his holistic approach to treating my injuries related to running. Dr. Sanders might be the calmest, friendliest, most caring and empathetic chiropractor I’ve ever seen (and I’ve been going to them for 25+ years). Dr. Derik has helped me in many ways, not just his gentle adjustments, but his wise counsel on nutrition and supplement testing. I really feel like I’m on the right track with my health. Dr. Derik Sanders is first rate.